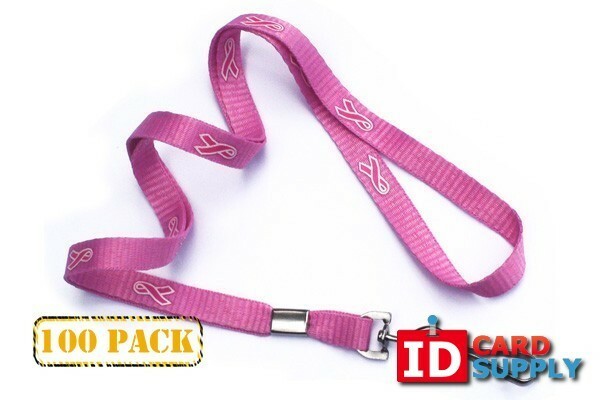 This set of 100 Pink Breast Cancer Awareness Lanyards is a stylish way to show your support against breast cancer! 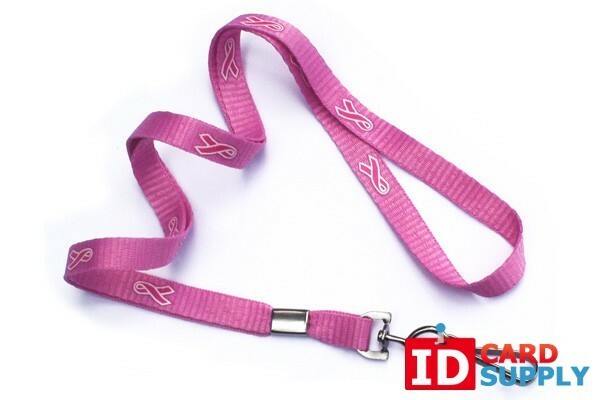 Each lanyard is 3/8" in width and pink in color with the breast cancer awareness ribbon pictured throughout the strap. The nickle plated swivel hook ending can be attached to your ID Card, keys, or whatever you please. A portion of the proceeds is donated to breast cancer awareness with every lanyard purchased. Help us fight the battle!